The seventeenth at Cattails is a 502 yard par 5. Teacher’s Comments: Ordinary. Uncooperative tee time booking system. I found it very difficult to get a tee time at Cattails. Not that they were busy — as it turns out, the course was nearly empty. It is the tee time reservation system that had me throwing fits. So I picked a time and clicked on the button. Nothing. I clicked again. Nothing. I backed out and then went back to the page. Nothing. I cleared the browser cache. Nothing. I used another browser nothing. Seriously? That’s the answer? Find another course? Isn’t the booking service supposed to be trying to book rounds for the course? I gave up trying to book a tee time and decided to just drive to the course and see what was up. As it turns out, the place was practically empty, and the girl at the desk was willing to give me the price I saw online. 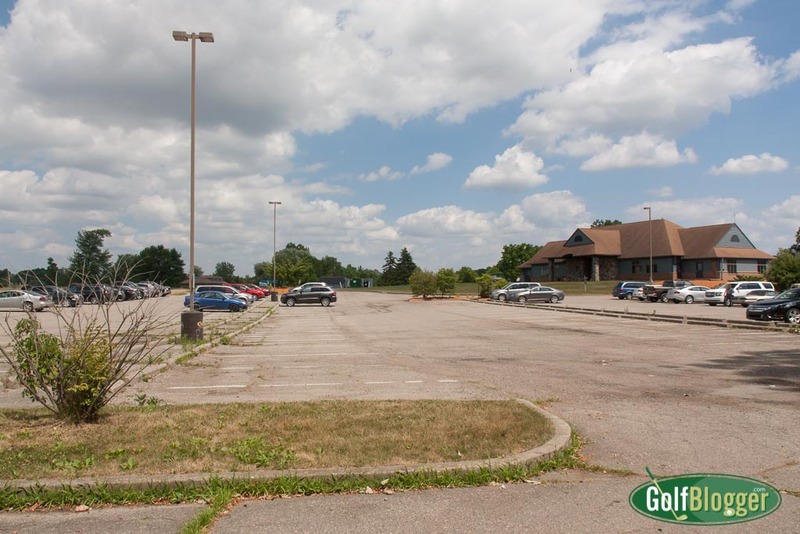 It should not be that difficult to get a tee time at a golf course — especially one that, apparently, is not particularly busy. With all of that marsh, the good news is that fairways at Cattails golf course are relatively generous. Further, many of the marsh areas are not really “in play.” Decent tee shots generally will carry or avoid the hazards. Still, the flat land and tall marsh grasses create uncertainty, especially where the grasses obscure the fairway. In golf, uncertainty is the most deadly of hazards. From the tips, Cattails measures 6, 433 yards and plays to a 72/133. The bogey golfer tees are at 6, 019 and play 70.2/122. 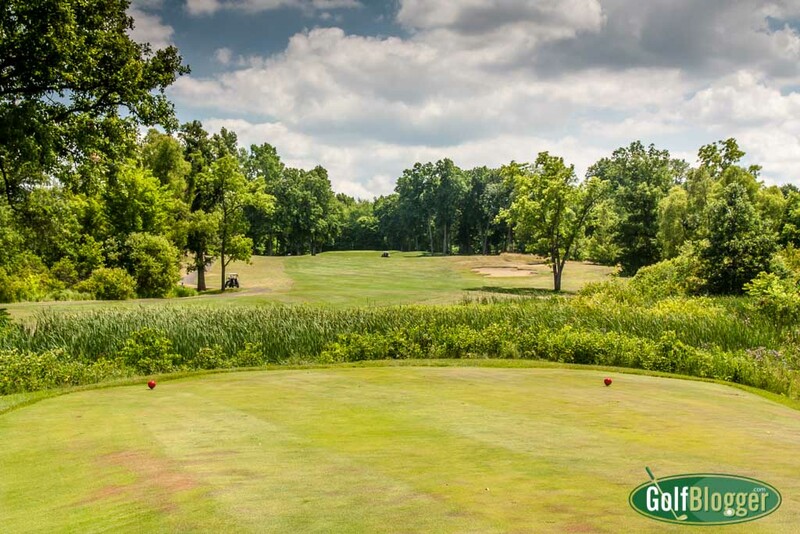 If you can get all of the marsh out of your mind Cattails is not a particularly difficult course. The tenth at Cattails is a 499 yard par 5. My favorite hole was the par five tenth. 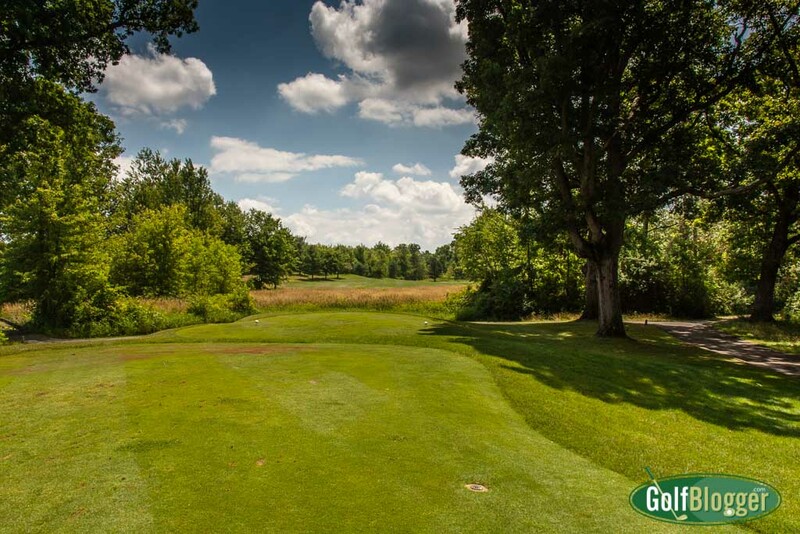 After a tee shot through the trees, and over a natural area, the hole wraps clockwise around a marsh to an elevated green, protected on the left by a large tree. Cattails ninth is a 386 yard par 4. The ninth also is interesting, with a blind tee shot over a bit of hill to a fairway that diverges around a bit of marsh at just about the spot where a drive would land. Prior knowledge of the course is essential here. On a first play, I suggest sending the tee shot well left or well right. The middle is ball death. The second shot needs to clear another patch of marsh to an elevated green. Most of the holes are straight shots from tee to green. The back nine, however, features four doglegs and is probably the more interesting side. Conditions on the day I played were not very good. 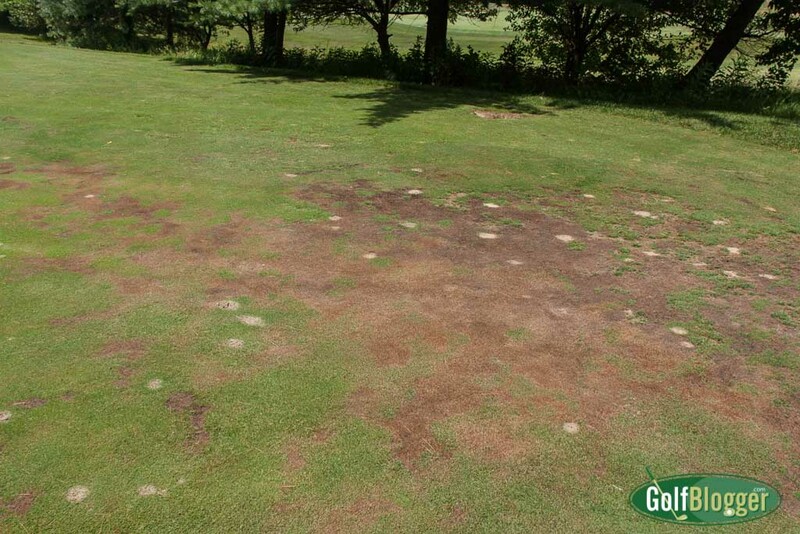 The fairways were dead in some areas, and the tee boxes beat up. The while course had a bit of an unkempt, shaggy feel. In the final analysis, there isn’t enough at Cattails to get me to go back. 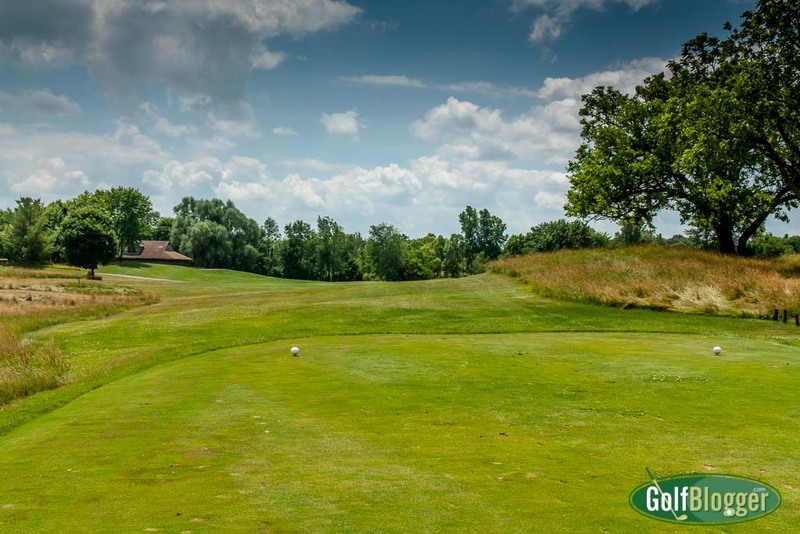 There are just too many courses in Southeastern Michigan and all of them are more eager to book a tee time. The Cattails Golf Course review was first published July 21, 2016 from notes taken on a July 2016 trip. Sixteen at Cattails is a 364 yard par 4. The first at Cattails is a 460 yard par 5. Cattails' second is a 381 yard par 4. The third at Cattails is a 363 yard par 4. The fourth at Cattails is a 561 yard par 5. Cattails' fifth is a 409 yard par 4. The seventh at Cattails is a 197 yard par 3. The eighth at Cattails is a 359 yard par 4. The twelfth at Cattails is a 382 yard par 4. The Thirteenth at Cattails is a 179 yard par 3. Cattails' Fourteenth is a 364 yard par 4. The fifteenth at Cattails is a 308 yard par 4. The eighteenth at Cattails is a 383 yard par 4.